Along with candy canes, sparkling trees and A Christmas Story marathons, the holiday season brings a glut of advertisements from your dealerships about the great deals you can get on sedans, trucks and SUVs. Here is the deal; a lot of these advertisements are the real deal and not just fast talk to get you to come in. December is a great month to buy that dream car, truck or SUV. You just aren’t going to get a better deal than you will in December, the last month before the new year. Tis the time of year when dealerships are scrambling to unload their inventory and empty their lots. Because of this, they often offer the lowest prices of the year. 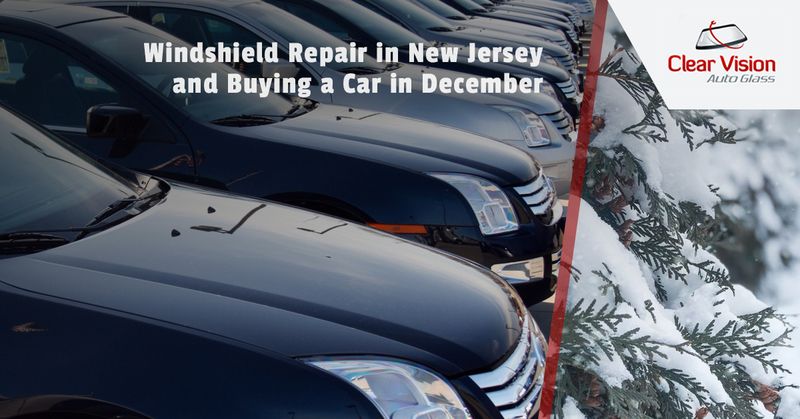 Clear Vision Auto Glass, your windshield repair service in New Jersey, offers the reasons why December is a good time to buy a new car. Most Americans spend a lot of money during the holiday season and are shocked come January when they get their credit card bills. You can bet that any thought of getting a new car does out the window when they open that bill from Visa. In addition, January is a cold, dark and snowy month in most of the country and that keeps people at home in front of their warm fire[places instead of shivering at the dealership looking at cars. Dealerships know that January and February are very slow sales months so they will do their best to capitalize on December sales. For the first 11 months of the year, auto dealerships compete against each other for your money. But come December, they are competing with Walmart, Amazon and all of the other retail places you shop. They are willing to drop prices to get you away from your laptop and Amazon and into their dealership to buy a car. As you probably know, car salesmen work on commission. The more cars they sell, the more money they make and everybody needs more money during the holidays. Some dealerships provide bonuses based on how much inventory is moved off of the lot. SO you can bet that prices will go as low as possible to move things out. December is the month dealerships step it up to get rid of the models that will no longer be offered. As soon as is announced which models will be discontinued, car dealers push those very hard and at great deals. Once a vehicle is discontinued, service contracts and support goes away, which leaves buyers with less incentive to buy. In addition, people think if a model is being discontinued, there must be something wrong with it. In order to sell off inventory, prices need to be slashed. New car models arrive in October and result in a glut of inventory. This puts a lot of pressure on dealerships to sell off old inventory. Their goal is to get rid of cars, which is good news for those seeking a great deal. When you do get your new dream car, keep Clear Vision Auto Glass in mind when you need windshield repair.